This article is 600 days old. 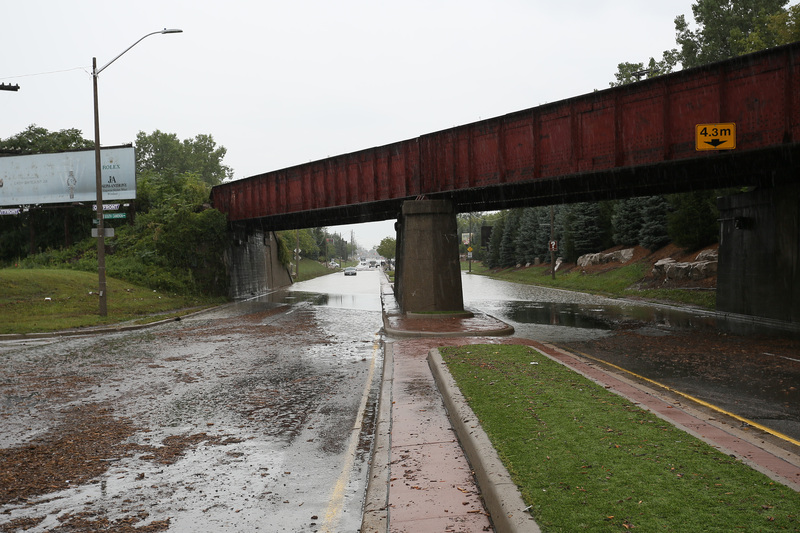 Dougall Avenue is closed at the CN Rail crossing. Crews pulled twelve stranded vehicles from the water. 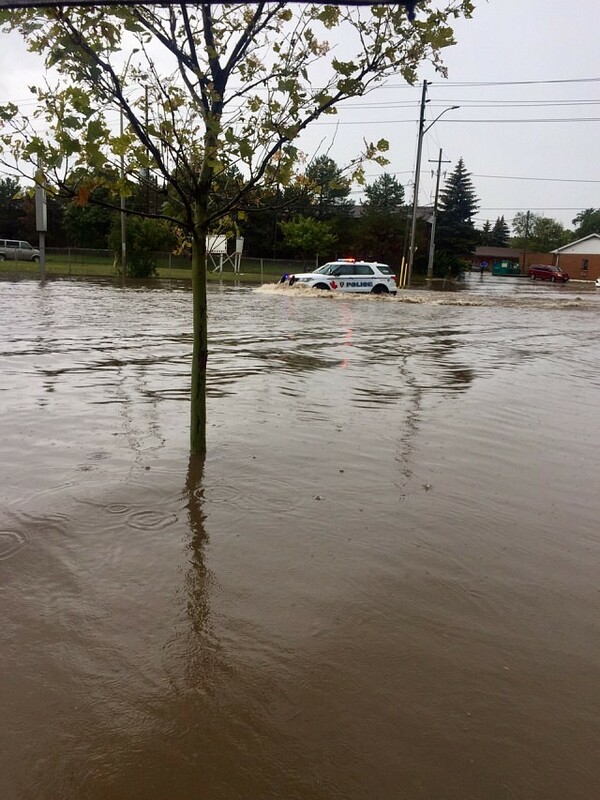 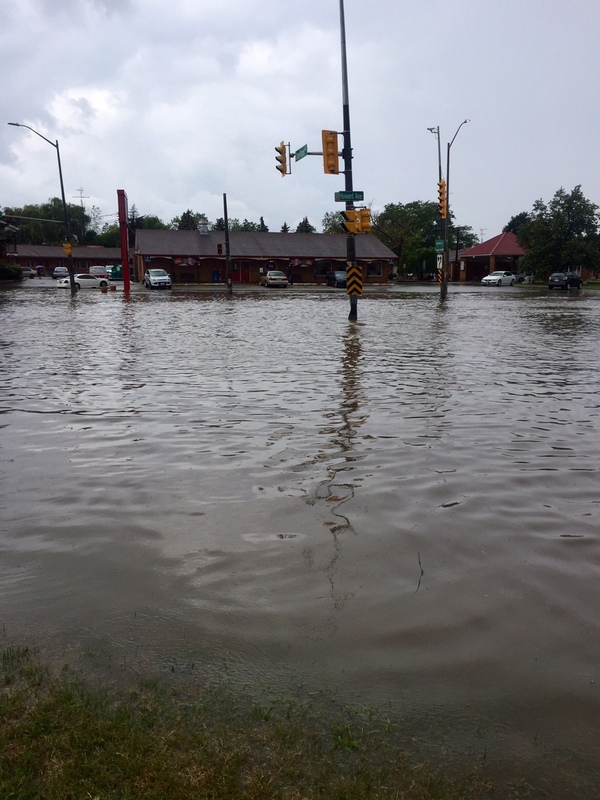 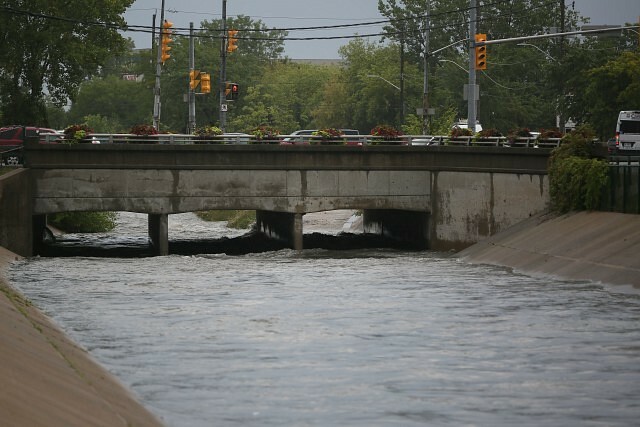 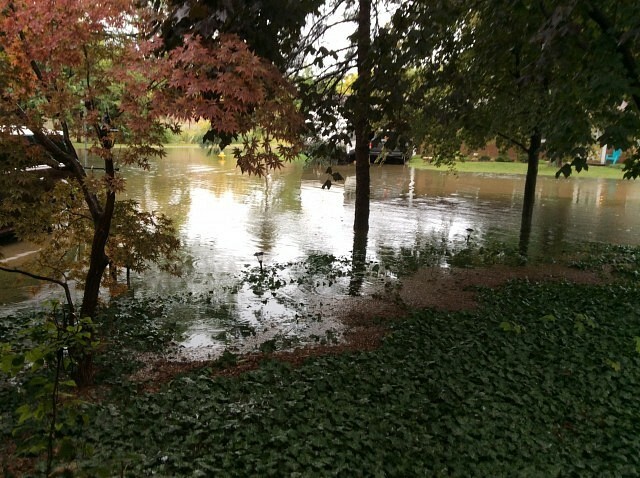 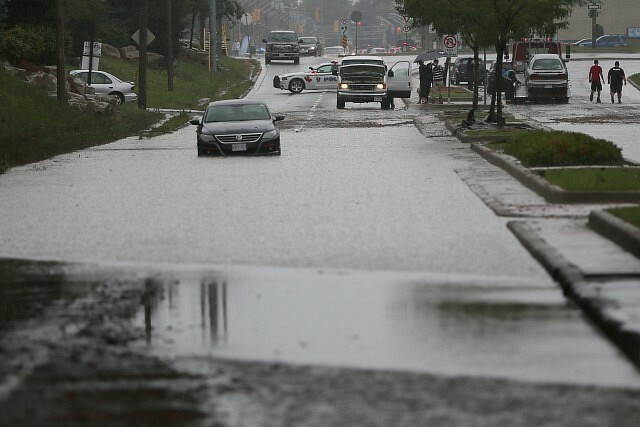 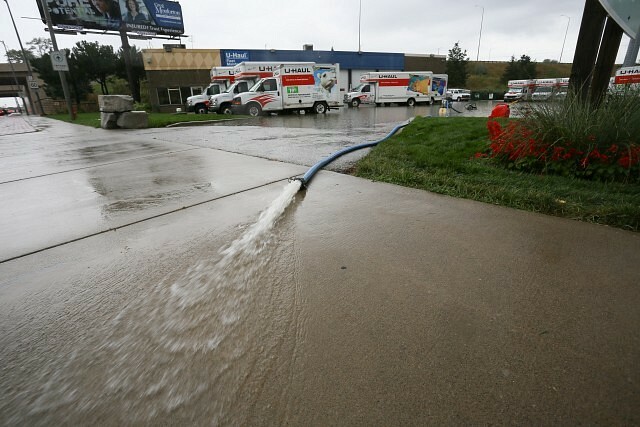 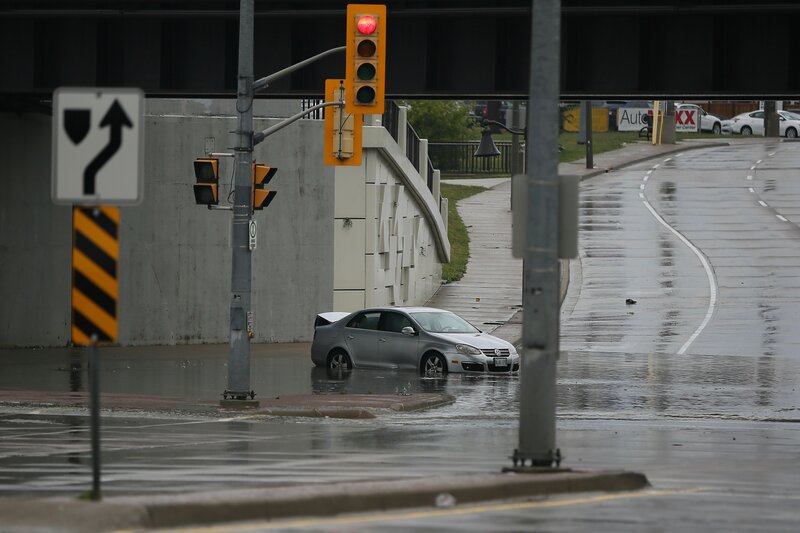 Flood waters are receding after heavy rainfall caused several of Windsor’s streets to flood. 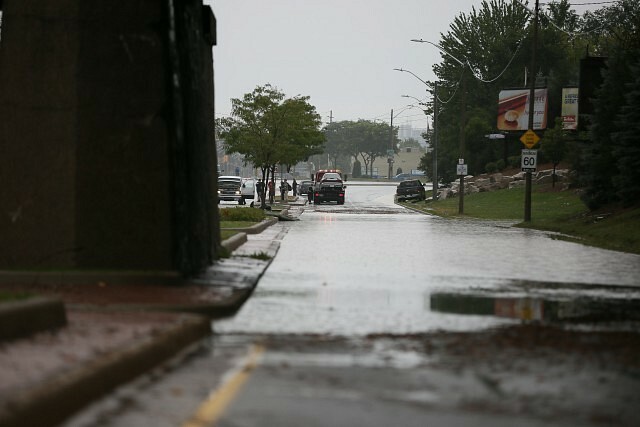 Afternoon flooding closed the EC Row Expressway for an hour, along with other main routes including Ouellette Avenue and Dougall, Riverside Drive from Pillette to Lauzon, College Avenue, McDougal Avenue at Shepherd, Dominion near the EC Row Expressway, Walker near Grand Marais, Howard near EC Row, and others. 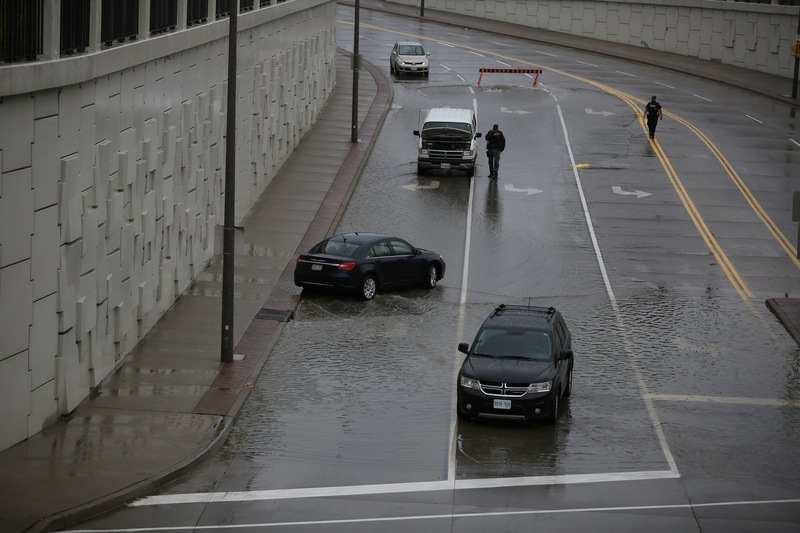 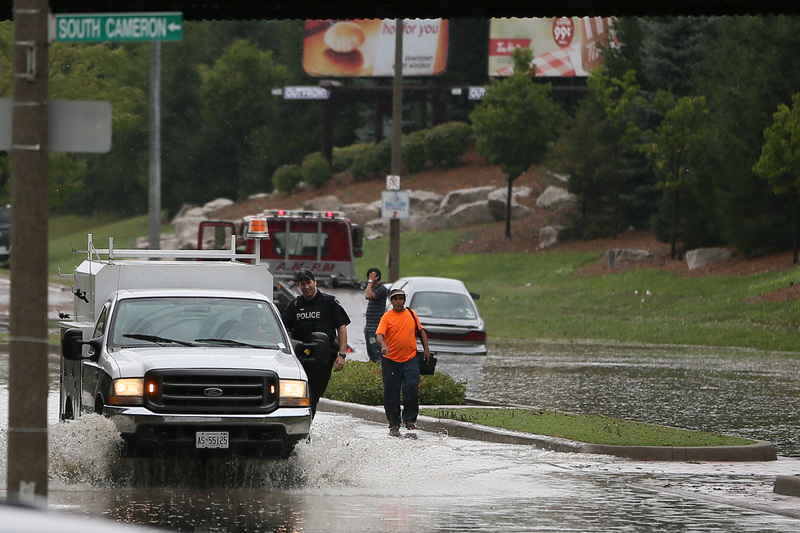 Motorists became stranded in high water as heavy rain picked up after the noon hour. 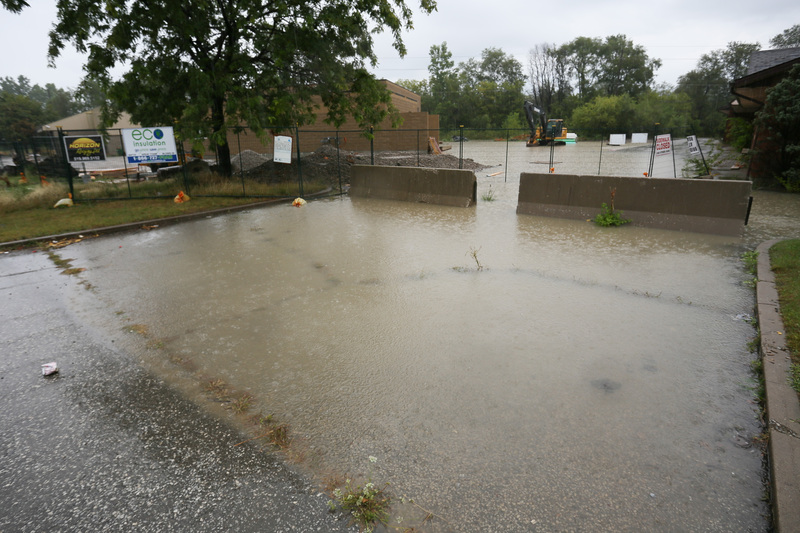 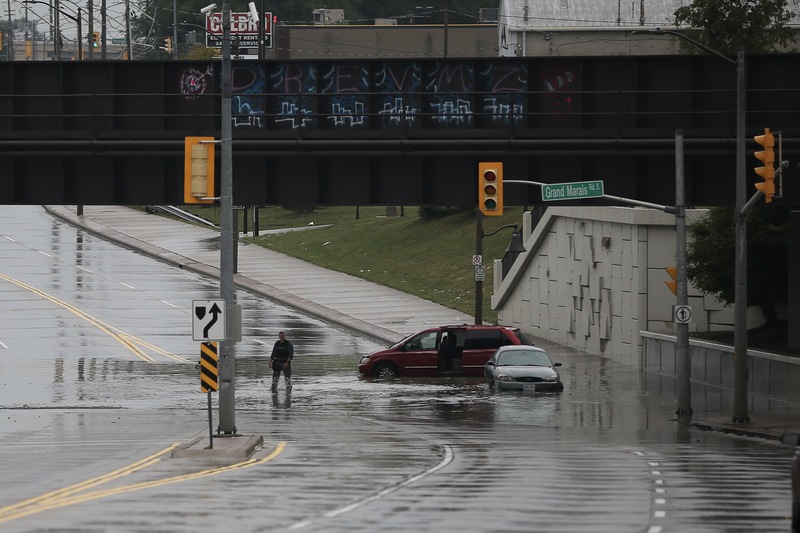 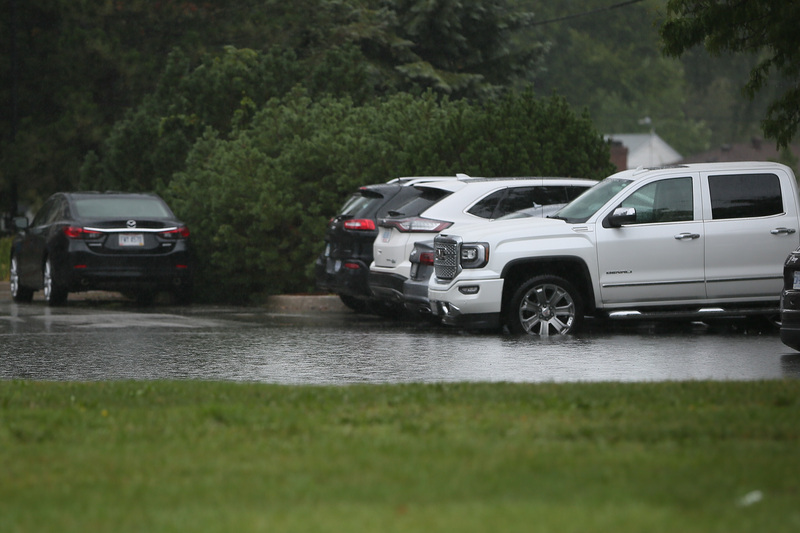 Environment Canada said up to 140mm of rain fell Monday in parts of Essex County while Windsor Airport recorded 58.4mm. 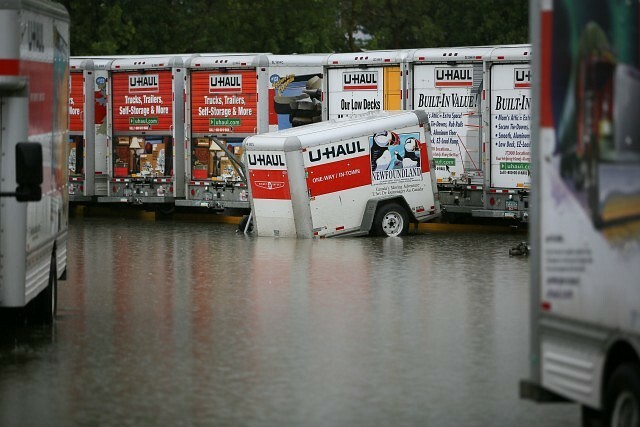 What is the situation like where you are? 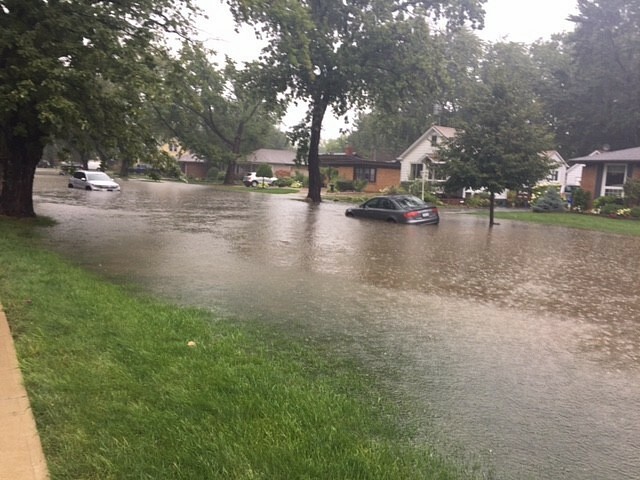 Street flooded? 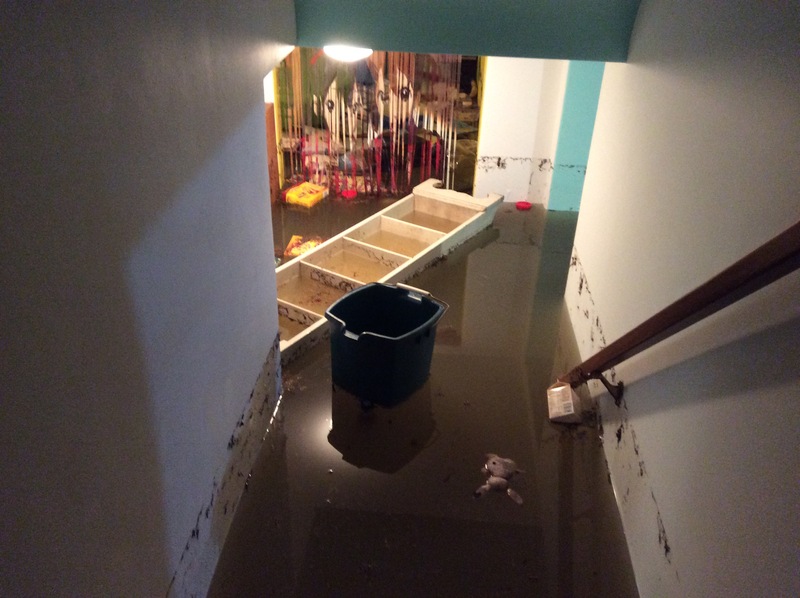 Basement flooded? 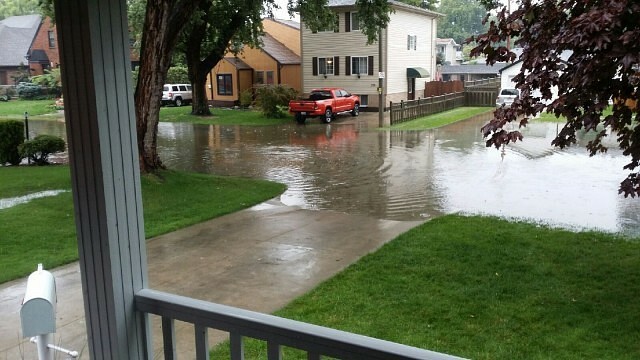 Send your photos to [email protected]. The Grand Marais ditch has reached its highest level in months. 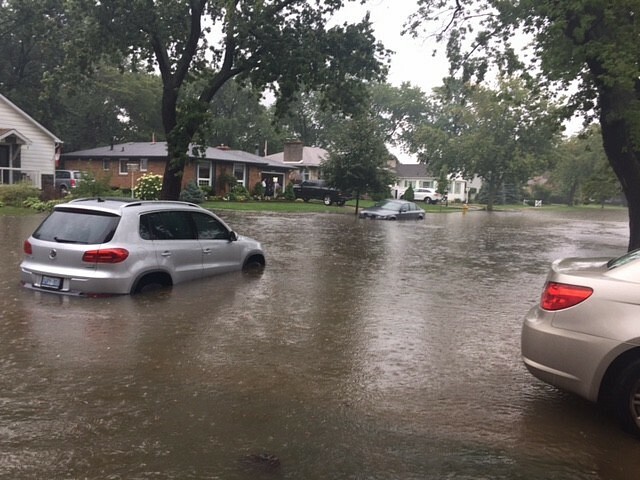 Flooding Laporte Ave by Lalana B. 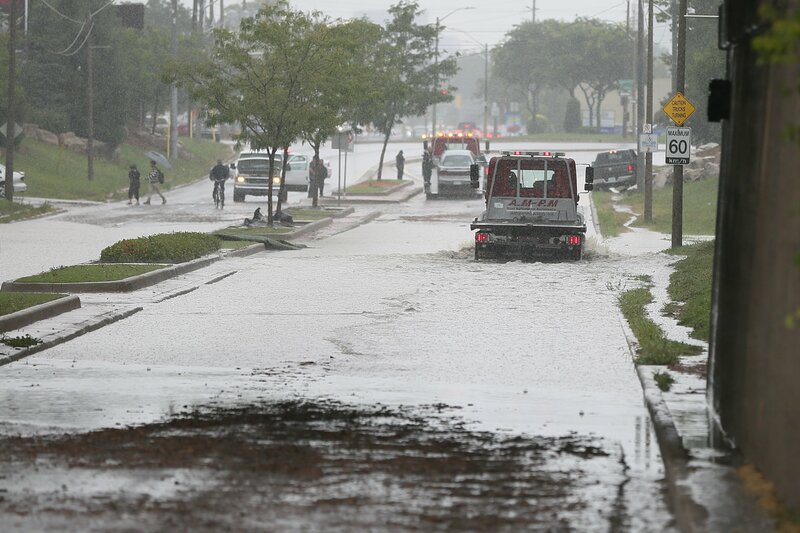 Flooded streets in Riverside by Dan B. 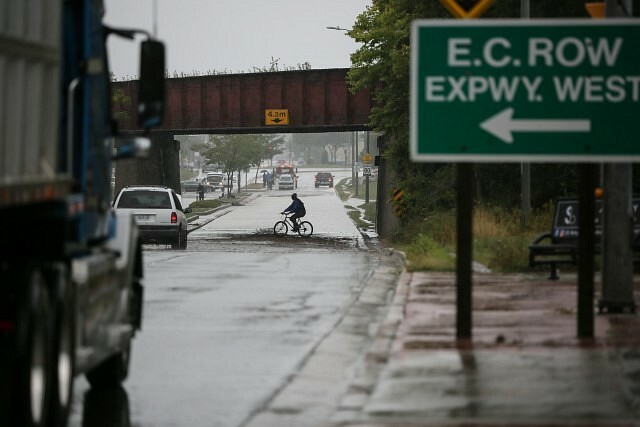 Mark Ave at EC Row by Virginia B. My basement by Virginia B.